Signal pin (receives the control signal from controller). If generating a square wave of the specified frequency (and 50% duty cycle) on signal pin of buzzer, buzzer makes a specific tone corresponding to the frequency. If controlling the signal pin of buzzer to HIGH (3.3V to 5V), of buzzer makes constant sound. If controlling the signal pin of buzzer to LOW (0V), of buzzer keeps silent. This example shows how to simply control buzzer by controlling the signal pin of buzzer to HIGH or LOW to generate sound or mute, respectively. To do so, It just needs to connect an digital output pin of PHPoC devices to the signal pin of buzzer and control it. For advanced control, use can use hardware/software timer to generate a square wave of the desired frequency. Grove buzzer (for more convenience, use it in combination with PHPoC Grove Expansion Board). We can use the source code of this example if its working principle is the same as the buzzer used in this example. Upload example\p4s\01.php_task\01.uio_buzzer to PHPoC Blue/Black. Setup IO pin to output mode and initialize IO pin state to LOW (Buzzer is mute). Tongle output pin between LOW and HIGH to turn ON/OFF Buzzer. Buzzer - Controlling Buzzer from Webpage using Hypertext. 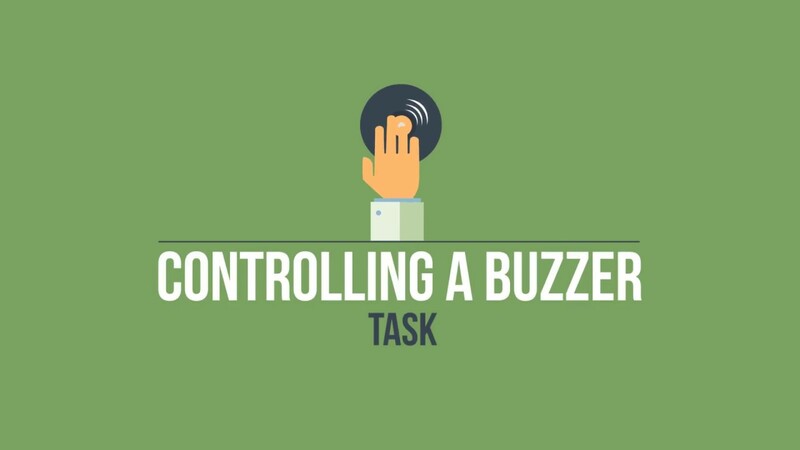 Buzzer - Controlling Buzzer from Webpage with Image. Buzzer - Controlling Buzzer via WebSocket. Last edited by support; 02-09-2018, 09:03 AM.